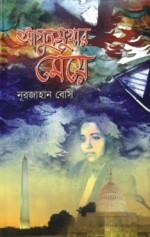 Written in lucid prose, the book is an autobiography in which the author sketches the ups and downs of her life that were intertwined with different turbulent periods of history, ranging from the British colonial rule to the birth of independent Bangladesh. Born and raised in a patriarchal society, she did not conform to the societal norms that inculcate women to get married at an early age. Instead, she went on pursuing her studies and career. The book shows how a woman finally succeeds in making her own place in society despite all obstacles. At the same time, it is also a vivid testament to the political developments of the erstwhile East Pakistan. The volume is a collection of Kamal Chowdhury's 100 poems, selected by the poet himself. 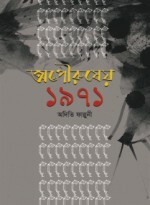 Chowdhury, who has several volumes of poetry to his credit, has already made his presence felt among readers. Since the publication of his first volume, like most other poets, he has gone through many phases of transformation. 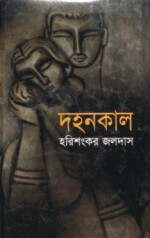 With traces of all those phases to be found in one collection, it is definitely a good read for general readers as well as for those interested in Chowdhury's poetry. A collection of three long scholarly essays, the book is, in fact, a research work on the debate over Rabindranath Tagore's winning the Nobel Prize in Literature in 1913. It is known to all that Tagore was awarded the Nobel Prize for his English version of Gitanjali, which he himself translated in free verse. Ferdous begins with the question that even though a writer is chosen for this award as recognition of his overall contribution, Tagore was selected only for his Gitanjali which is not even a full-fledged translation of the original. Then he also throws lights on other aspects related to the debate, presenting rare correspondences between Tagore and many other English and European writers including WB Yeats and William Rottenstein- who played a role in publishing the book. The book is a nice treat for Tagore researchers. Yet another novel by Harishankar Jaldas, that deals with the struggles of the fisherman community. Like Advaita Malo Barman (who wrote about the gradual weakening of a fisherman community in 'A River Called Titas'), he also came from a fisherman's family, and not only this one, all his three novels are about the hardships of fishermen. Jaldas is also a researcher and a good deal of his research work explores the distinct trend in Bengali literature that takes up the life of fishermen as subject-matter of fiction. With predecessors like Manik Bandyopadhyay, Shyamal Gangyopadhyay and the likes, Jaldas seems to be the last of the novelists to work on various forms of discrimination against this community. 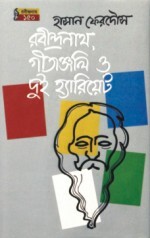 This is a book about the highly influential writer Humayun Azad whose fluency both in critical and creative writing is a rare asset for Bengali literature. Azad was brutally killed in 2004 by anti-liberation forces for writing a political allegory that showed how the Jamaat-e-Islami and some like-minded political parties, showing allegiance to the Pakistani occupation forces in 1971, killed freedom fighters and the progressive-minded intellectuals; and how they are still active in the independent country. However, readers have read hundreds of pages about Azad after his death. But this book is written by his eldest daughter, Mouli Azad. Mouli tries to capture the making of an author as well as the non-conformist life of his father which makes it a special read. 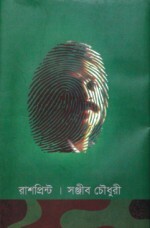 Rushprint is a rare epitome of dystopian literature in Bengali literature. 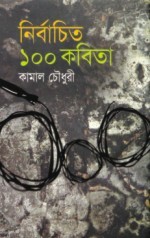 The book is Sanjib Chowdhury's reflection on contemporary political as well as social issues. However, the form can hardly be categorised as sometimes they are prosaic, while sometimes poetic. A journalist by profession, Sanjib became quite popular as a singer of the band Dalchhut. His songs speak of the modern life we are entangled in, but also seek resort to the forms and lessons of the bauls of Bengal. 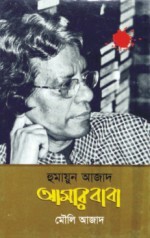 Sanjib's fans will find the book quite interesting since these prose poems lend insight into his songs and vice versa. 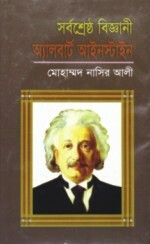 The book offers an illuminating account of Albert Einstein's life, who is regarded as one of the most talented scientists of the world. His theory of relativity along with other inventions has shaken the foundation of theoretical physics, taking the world of science to a new height. But this biography shows that Einstein as a child was often mocked by his teachers at school because of his inane appearance in class. Then it shows how the dim-witted boy one day became the most brilliant scientist.